I’m not sure where everyone else is with this whole polar vortex, but spring still doesn’t feel quite like spring where I’m at. And so, here’s an effortless, delicious chili that warms you to your bones. Now, for those of you who enjoy regular chili but have never had white chili, it is something you won’t regret trying it! The only way I could compare it to regular chili is that it isn’t as heavy and has a lighter taste with a good kick in it. 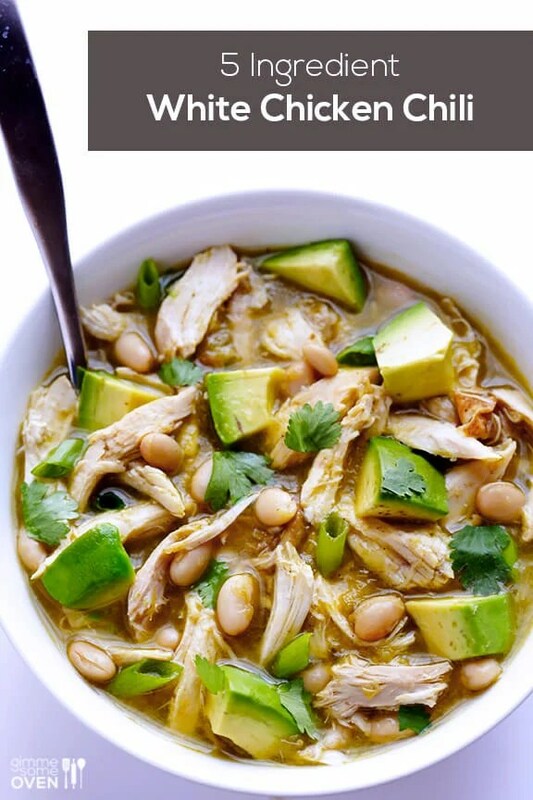 Now, first of all I need to give credit where credit is due… this recipe comes from Gimme Some Oven with their “5-Ingredient Easy White Chicken Chili,” and I could not help but share it. Also, for those of you who are living a gluten free life, whether because of allergies or health benefits, good news! This recipe is gluten free! And for those thinking about picking up a gluten free lifestyle, here’s an article by Harvard Health Publications about the benefits of being gluten free. Now, here comes the easy part… all you have to do is put all the ingredients in a pot on medium/high heat until it boils and let it simmer for at least five minutes. And… that’s it! And for those who have questions about the salsa, you can get it any where. But, if you’d like to make your own, Gimme Some Oven has a great Tomatillo Salsa Verde recipe. And there you have it! Go forth, cook and enjoy! And of course, let me know what you think or if you have any questions.